StirringWaters is a waterpark designed by therapists and aquatic professionals to provide thrilling experiences for people with all disabilities. No longer will they need to just sit on the deck. In the StirringWaters waterpark people from the entire globe will experience joy, fun and laughter – possibly for the first time in their life. StirringWaters helps people with disabilities off the deck and into the fun! The idea of StirringWaters began when Bill Redmon, the former Executive Director of Lake Aurora Christian Camp and Retreat Center, began helping some camps who were serving people with disabilities. He immediately recognized that people with special needs were not served well with either the existing nor future aquatic opportunities planned for the Lake Aurora Campus. A lazy river was needed for those with very limited mobility. Access and traffic flows needed to change. The fun factor had to include everyone of all ages and abilities. In fact, it appeared that no existing facility in Florida was inclusive enough to meet the unique needs of a family living with disabilities. In 2011 Removing the Barriers Initiative, Inc., was formed as a public charity to lead the effort to create an inclusive water experience. In 2013 a group of Physical Therapy students at Polk State College under the direction of Dr. Nelson Marquez created concepts for an inclusive waterpark. Scott Redmon of Redmon Designs became the Landscape Architect and began producing drawings to help capture the vision. In 2015 the name StirringWaters came about based on a story in the Bible. In 2016 the StirringWaters board was formed and StirringWaters was officially listed with the State of Florida. That same year WhiteWater West came alongside to assist and design the world’s first big slide that could be accessed independently by a person who is quadriplegic. 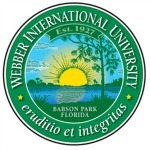 An MBA team from Webber International University took StirringWaters on as a 2016-17 project. That led to a much greater vision that now includes the entire world – especially Europe. The campaign to build StirringWaters was officially launched with an announcement to the public in an event on November 17, 2016.